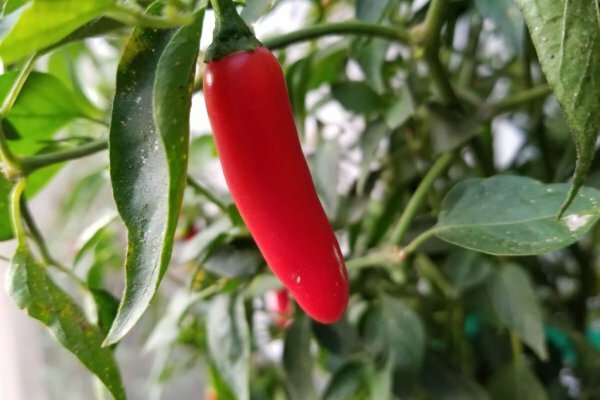 Sinahuisa-(Capsicum annuum)-The Sinahuisa pepper comes from Maya Ejido Communal farm in the State of Sonora, Mexico. 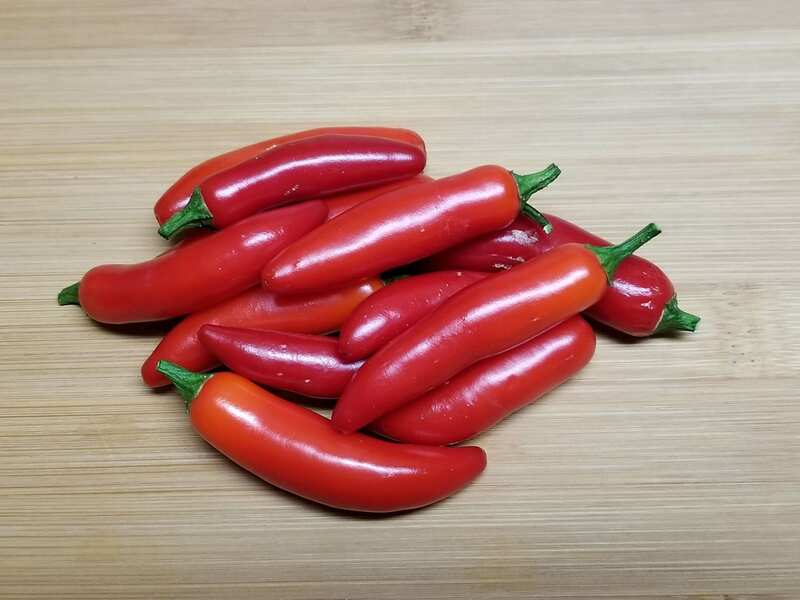 It looks very similar to a Serrano chile but is smaller on average and has much more flavor than any Serrano I have ever tasted. It has a rich sweetness and medium heat. The burn is not as pungent as a serrano. 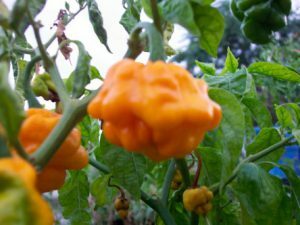 The Sinahuisa pepper is a must for making sauces or salsa! They are also great pickled! It is so productive you will be picking all season and be sad when there are no more! 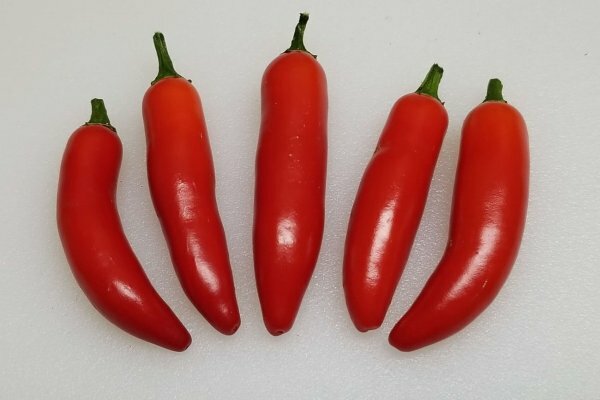 The Sinahuisa chiles average about a 1/4 inch in width and 2 inches in length. 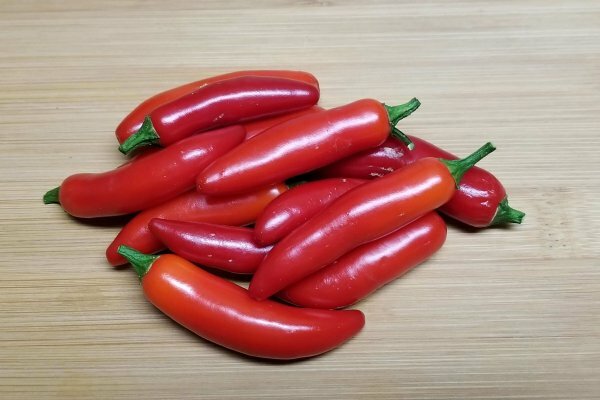 They ripen from green to red and have more heat when red. 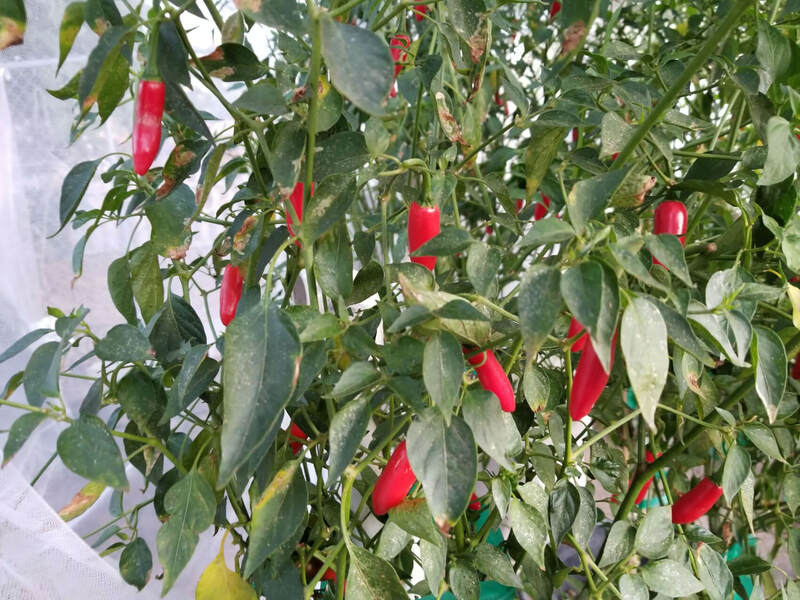 The Sinahuisa chile plants grow over 4 feet tall and are very easy to grow. 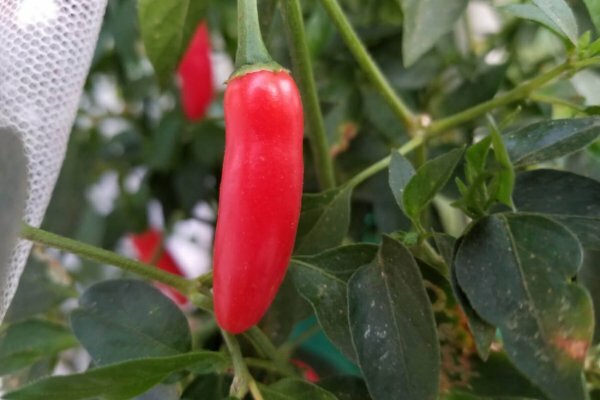 The Sinahuisa chile comes from Maya Ejido Communal farm in the State of Sonora, Mexico. It looks very similar to a Serrano chile but is smaller on average and has much more flavor than any Serrano I have ever tasted. It has a rich sweetness and medium heat. The burn is not as pungent as a serrano. 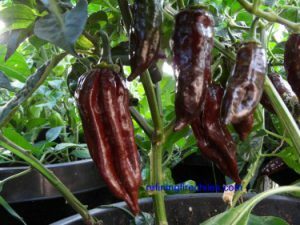 The Sinahuisa pepper is a must for making sauces or salsa! They are also great pickled! It is so productive you will be picking all season and be sad when there are no more! 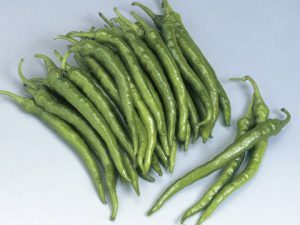 The Sinahuisa chiles average about a 1/4 inch in width and 2 inches in length. 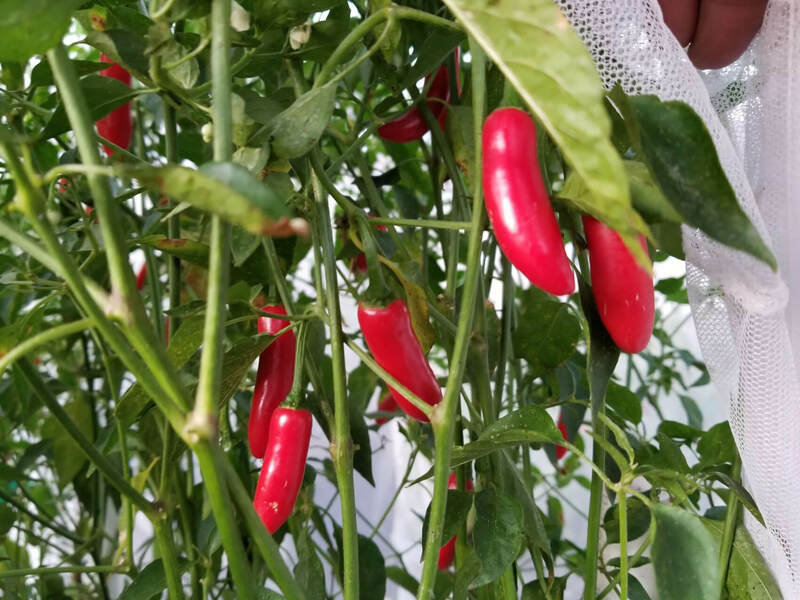 They ripen from green to red and have more heat when red. 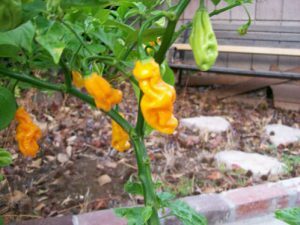 The Sinahuisa chile plants grow over 4 feet tall and are very easy to grow.